Happy, Happy Valentine's Day Lily & Mom! 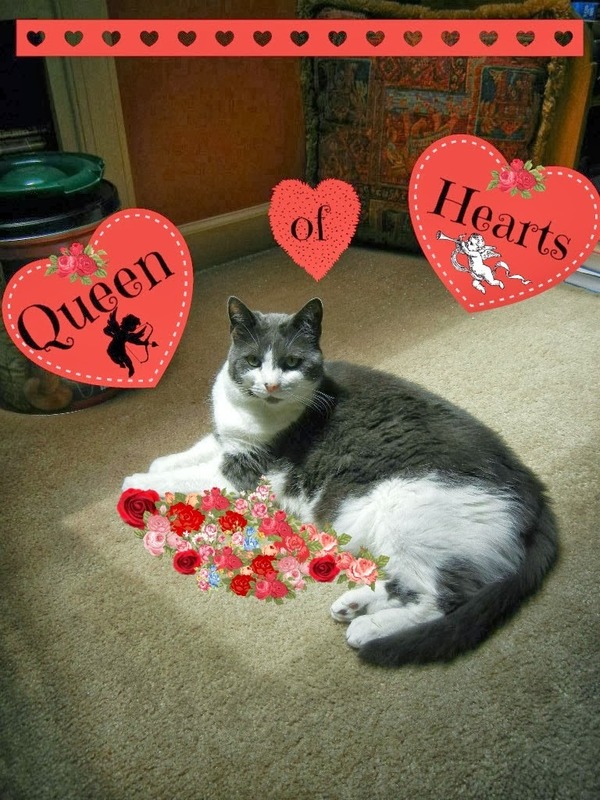 Happy Valentines Day Lily, Gussie wondered if you might share at least one dance wif him? You look darling, Lily...so pretty you are putting those flowers to shame! Happy Valentine's day! Oh Lily, you look incredibly beeYOUtiful!! I'm so glad you stopped by my kissing booth so I got a big SMACKEROO! Lily you look stunning. Happy Valentine's Day to you and all your loved ones. Have a fabulous day. Hey Sweet Lily...and you are most welcome. What fun we had and will have. I love your heart necklace and roses...we all need to stop and smell them right? Happy Valentines Day! Hope your day romantic and lovely. Will you dance with me Lily? My date went out to the garden to chase squirrels. Oh, Lily - you sure do make a beautiful Valentine:) Have lots of fun at the ball. Just stunning . Happy valentine's day. Oh, you look so pretty with your flowers! Happy Valentine's Day! I bet those flowers smell so good, Lily! Happy Valentine's Day ~ I'll see you at the dance. Lily, hope you gots some good dancing shoes, cause every guy there is gonna what to dance with you! Happy Valentines Day to You and Mom! Hope you have a great time! You look gorgeous! Happy Valentine's Day! Awww... Miss Lily, you look BEAUTIFUL!!! Have a wonderful time and .... Happy Heart Day!!! Oh Lily I think your heart collar looks so lovely on you and those roses are beautiful. I hope you are having a marvelous Valentine's Day. I would love to spin you around the dance floor. Your roses are beautiful, Lily! Happy Valentine's Day! Happy Valentine's Day. See you at the dance. Pawsome flowers u got there Lily. Happy Valentines Day. You look lovely, Lily! Happy Valentine's Day! You look so pretty Lily!!! You will be the bell of the ball!!! Happy Valentine's Day Lily. Those roses are gorgeous, and so are you! You look lovely, Lily. Happy Valentine's Day to you. Hope you have a great time at the dance. Lily my girl, you look absolutely gorgeous and ready to dance the night away at Madi's......I shall look for you there.....! Ernie was THRILLED to have had the chance to do the Hoochie Poochie with YOU, Lily. Since YOU are the one who TAUGHT him HOW to dance. HAPPY VALENTINE"S DAY to you. You are just gorgeous, Lily. Wow, Lily the event was amazing! You looked beautiful and it was nice to see you on the dance floor rocking some moves! Everyone had such a good time last night. I loved your dress and shoes. Oh and you can cut a rug Lily. You looked lovely at the dance and Bentley really enjoyed the dance you shared. Hope you ;liked the Smiley Dance.